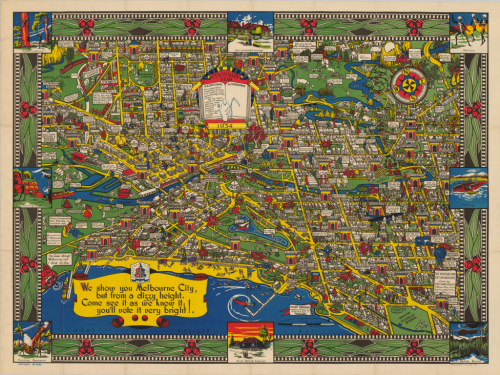 In 1914 Macdonald Gill drew his Wonderground map of London (featured in MapCarte 15). It brought a cartoonesque aesthetic to the streets of London and included pictorial elements and other delightful characters that produced a playful, whimsical but detailed and well marshalled map. 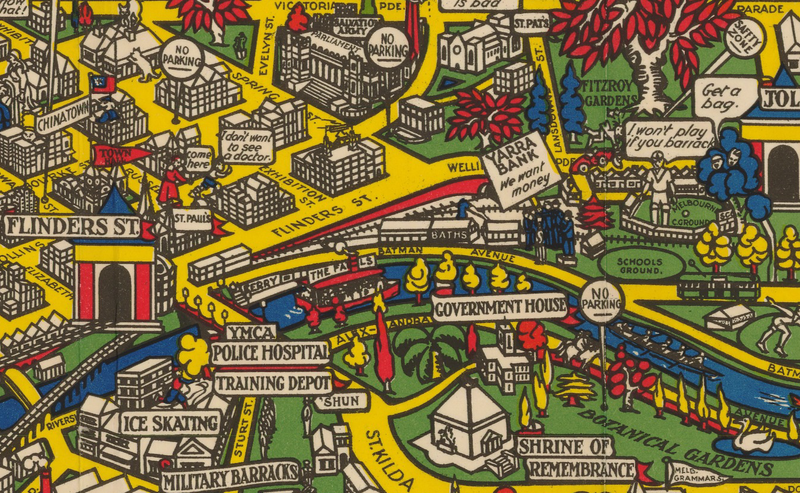 Twenty years later, this map appears. 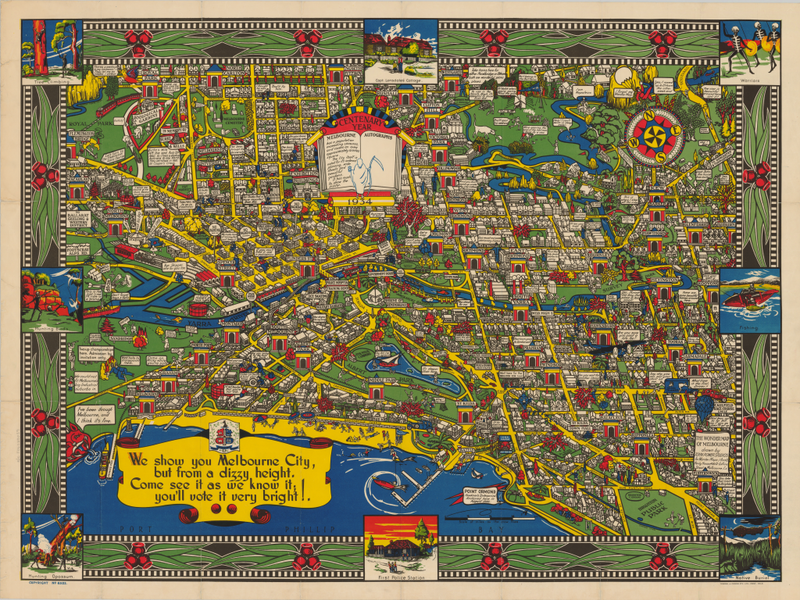 It’s a map of Melbourne, Australia which displays a remarkable resemblance to Gill’s original. Considering we’ve already discussed Gill’s map, why is it necessary to include a derivative? In design terms, there’s very little that is genuinely new in cartography. Most of what we seen owes something to what has gone before either in terms of some small element or, perhaps, in its overall style. Taken to extreme, derivative works can become merely pastiches (see the perpetual use of Beck’s subway map as a basis for alternative cartographies for instance) but sometimes they reflect an homage to a particular approach. There’s a fine balance between homage, pastiche and plagiarism but here, the authors have shown a keen eye for their own landscape and geography and created a map in the style of Gill’s but with a clear Australian dimension. In this sense it’s worth promoting the idea that design doe not necessarily need to be wholly original to work. Many great cartographic effects and styles get re-used and re-imagined. New places and new ideas can add to the canon but in the main, maps tend to show subtle or blatant lineage. 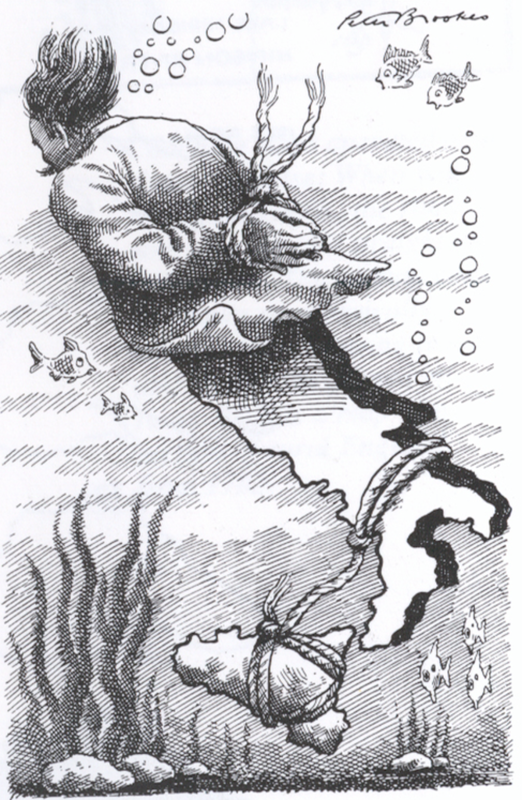 Making a map to support rourism requires two important design considerations – the content must be unique and speak to the audience; and the design must be attention-grabbing. 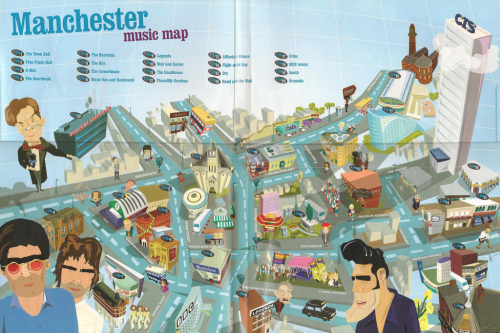 Manchester’s music scene arguably provides the first in abundance given the number of iconic musicians and bands that hail from the area. Creative lynx came up with an aesthetic that did the second job. 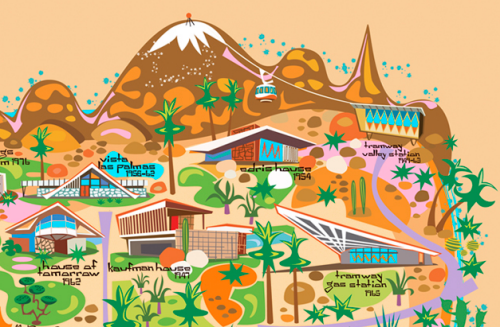 This fantastic cartoon-styled map throws geography and scale out of the window. It’s useless as a tool for navigation but, instead, it emphasises key spaces of historical significance to some band or other. Places, buildings, venues and meeting spots are located. These are the important places for this map. It goes beyond that by positioning the musicians in amongst the city itself, showing them taking ownership of Manchester and in so doing, defining its cultural relevance. Interest is encouraged through varying sizes of the main characters so you are invited to go beyond the larger figures to find and figure out who the smaller ones are. 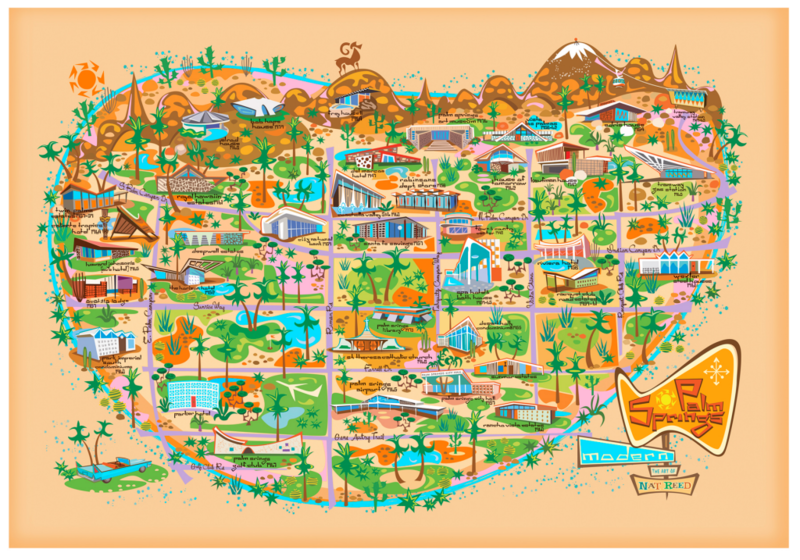 A heavily stylized tourist map that supports the intended purpose and to develop a particular sense of place.